Recently, we took a trip to a beautiful seaside village. 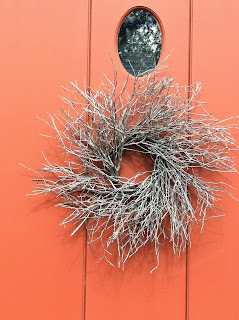 This coastal town is very historic, and when we took a little walking tour, I was just loving how all the home owners took such pride in their antique entryways. Or more subdued, like the chippy old paint on this historic beauty. I couldn't help but notice all the great textures, and in such variety. The smooth, hardness of the stone, the great patina on the worn paints, and lots of iron accents. 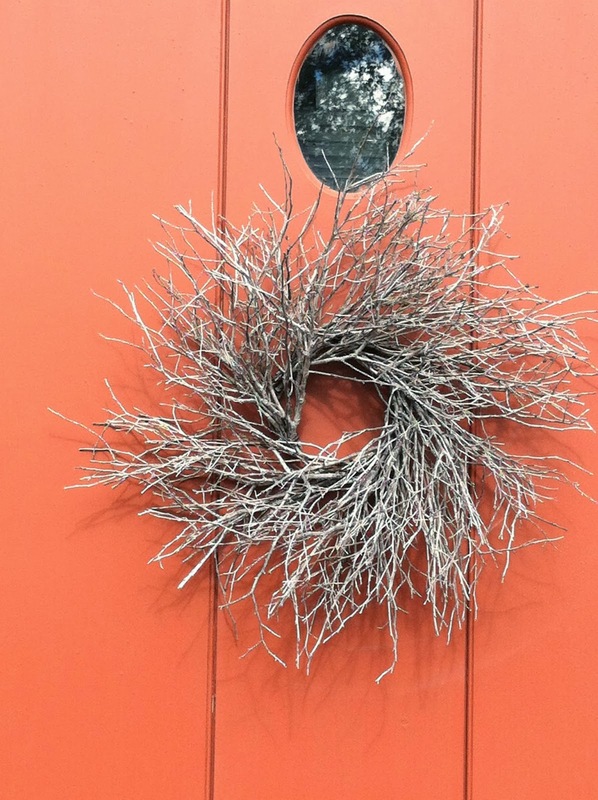 The roughness of the twig wreath really stands out on the first door, doesn't it? This one reminds me of New Orleans. The fantastic wrought iron wraps around such a romantic entry way. But this is far from New Orleans. Does anyone know where these historic homes are located? If you can tell me in a comment, I just might have a surprise gift waiting for you! I'm itching to give away a creation of mine. So here's a hint... Here's a window of a wonderful restaurant in the town. I hope you liked your visit to your mystery historic seaside village. And I can't wait to share more secrets with you soon. The River House at 53 Bow Street, Portsmouth NH. Beautiful pictures! Thank You for the photo's of NY at Holiday time. I grew up in NY and miss the store windows. I live in Sunny CA and we just don't have the winter feelings.